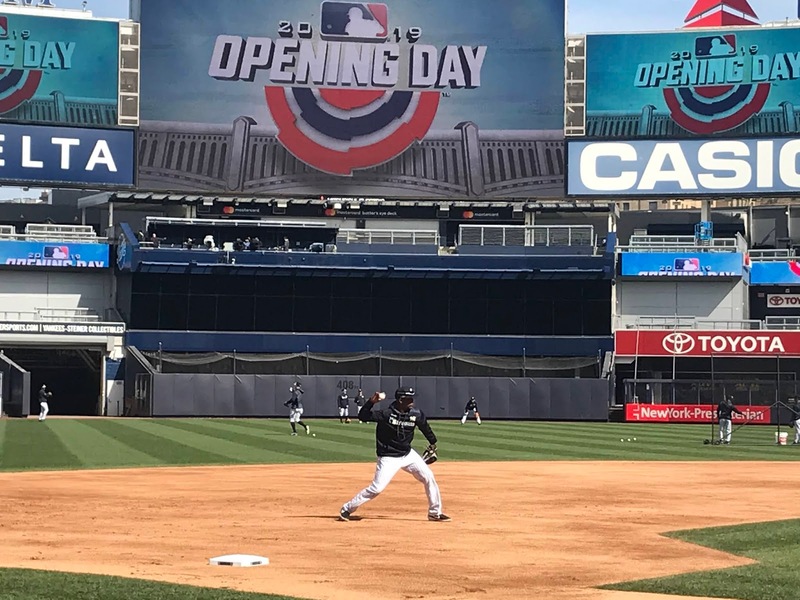 Miguel Andujar on Wednesday. Photo by Jason Schott. · Placed RHP Dellin Betances on the 10-day injured list (retroactive to 3/25) with right shoulder impingement. · Placed OF Jacoby Ellsbury on the 10-day injured list (retroactive to 3/25) with left hip surgery recovery. 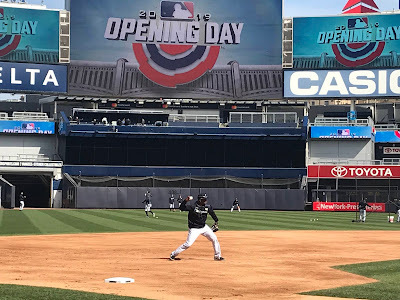 · Placed INF Didi Gregorius on the 10-day injured list (retroactive to 3/25) with right elbow UCL surgery recovery. · Placed RHP Ben Heller on the 10-day injured list (retroactive to 3/25) with right elbow UCL surgery recovery. 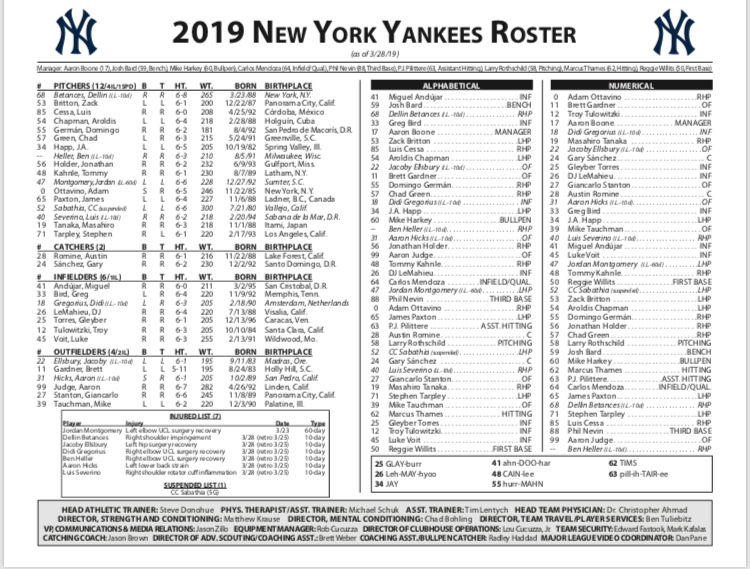 · Placed OF Aaron Hicks on the 10-day injured list (retroactive to 3/25) with a left lower back strain. · Placed RHP Luis Severino on the 10-day injured list (retroactive to 3/25) with right shoulder rotator cuff inflammation. 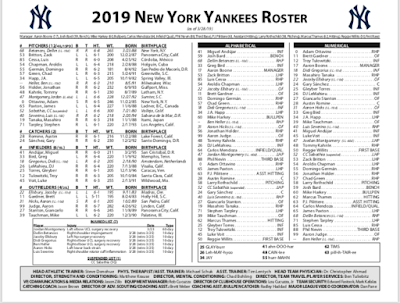 · LHP CC Sabathia was placed on MLB’s Suspended List.